Looking for a particular fighter? 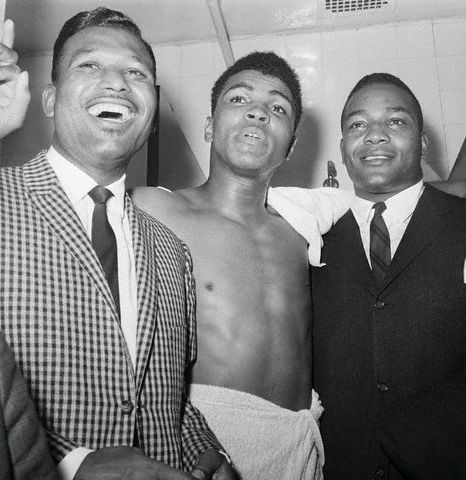 Re-live great moments from legendary fights or see for the very first time why these fighters are considered to be the best. Email me for custom orders. me for an exact quote. 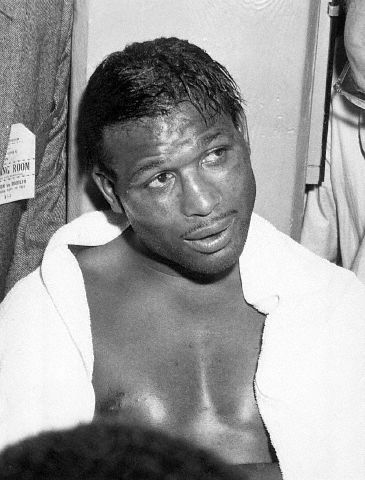 Ray Robinson is considered to be the finest fighting machine the world has ever witnessed in the boxing ring. 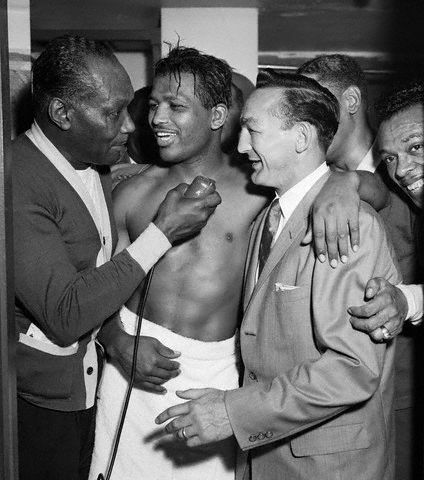 The term "pound for pound" was originally coined to describe the brilliance that was Sugar Ray Robinson. 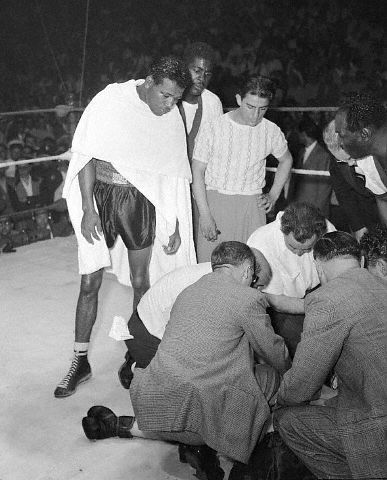 Witness for your self Ray Robinson in action. 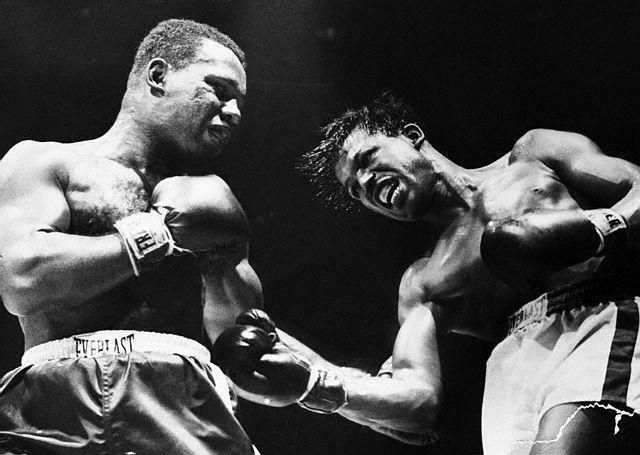 Sugar Ray knocked out, with stunning grace and elegance, 108 professional opponents in 200 professional bouts in a career that ended when Ray fought his last fight at the age of 45 years. This is a rare opportunity that may never be offered again. Only $155.00 on 13 dvd's. 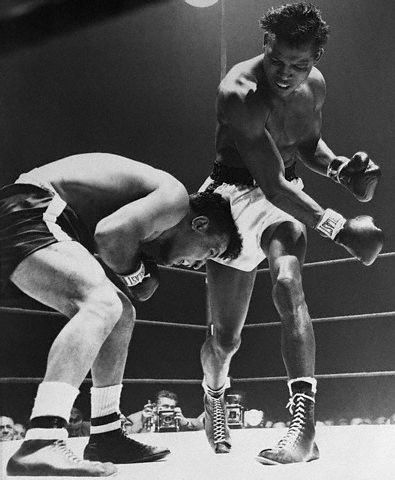 On 13 dvd's in total representing the complete filmed footage known to exist of Sugar Ray Robinson in the boxing ring. Including two full length documentaries. 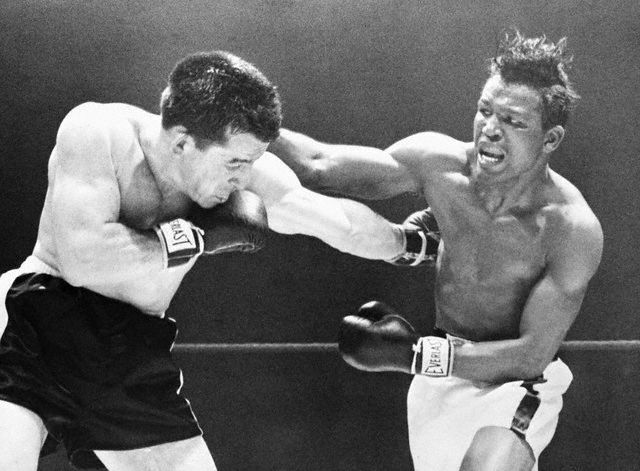 DVD #1 Hi-lites of Sugar Ray Robinson against the following opponents : Angott, Becket, Riccio, Flores, Giardello, Abrams, Leahy, Villemaine, Panther, Pender, Downes, Barnes, Hecht, Basting, Castallani, Valentine, Archer, Stock, Van Dam, Stretz, Walzack, Saerens, Estatoff, Ancona, Nonnels, Turpin, Graziano, Fusari. . Some of the extremely rare early career hi-lites are silent. 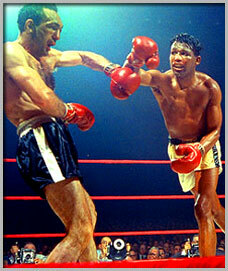 DVD #2 Ray Robinson vs Jake LaMotta. 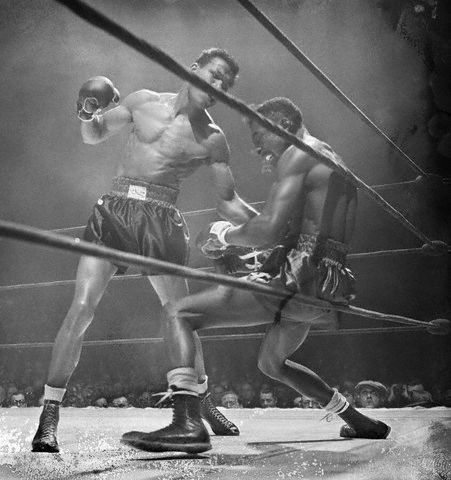 DVD #3 Ray Robinson vs Paul Pender I - 50 minutes. vs Paul Pender II - Hi-lites 12 minutes. 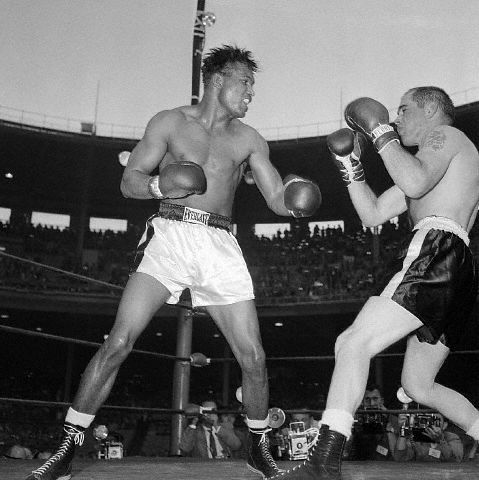 DVD #7 Ray Robinson vs Bobby Dykes - 50 minutes. 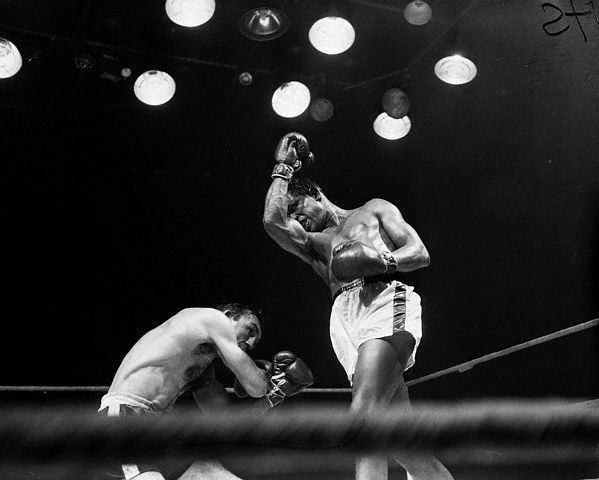 DVD #10 Ray Robinson vs Gene Fullmer I and II. Some footage is silent. Some fights are hi-lites only. * Sold from one collector to another. No rights given or implied.